Noctis Magazine's new issue, Issue VIII. Anyone a fan of Noctis Magazine? 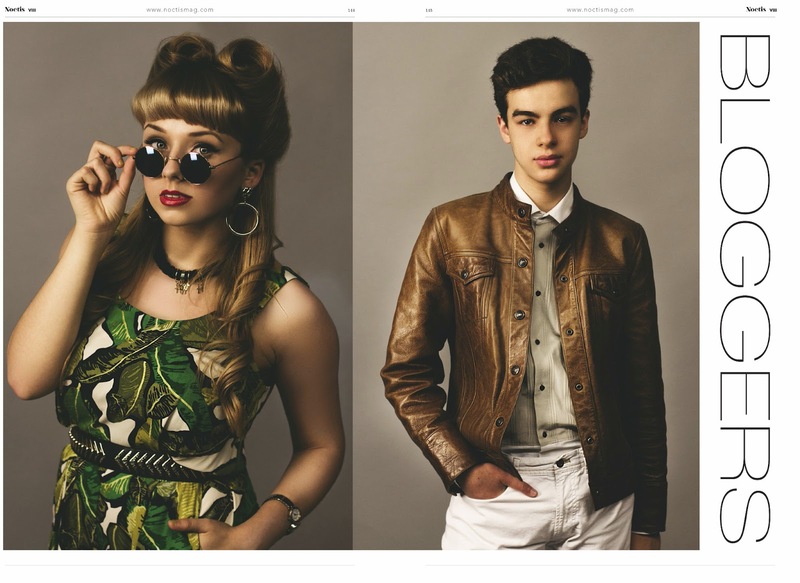 It's actually such a cool online magazine. Bursting at the seams with up and coming creatives showcasing their talent. What I love about the magazine is that they are so interested in showing as much new creative's work as they can cram in. 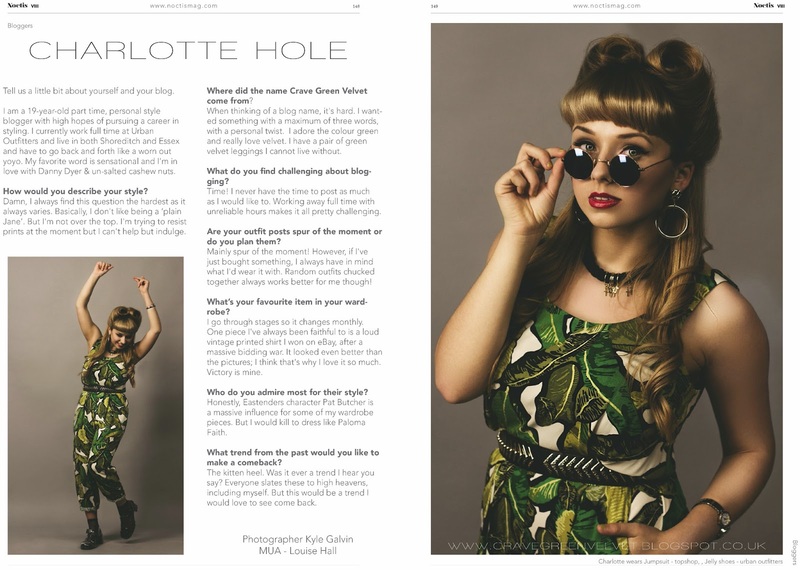 I was super lucky enough to be asked by Fashion Photographer, Kyle Galvin, to be featured in their new issue since he had been planning a Blogger's feature to shoot for the magazine. He has done some pretty amazing stuff. It was a super fun shoot. I had my make-up done & my hair beautifully styled by MUA Louise Hall. I suggested victory rolls, since I absolutely love this hairstyle. So Louise matched my make-up with the whole vintage look, red lip, statement cat-eye flick, & a bold defined brow. I was also on set with 17 year old Luxury Fashion & Lifestyle blogger, Victor Phillpott. Everything I wore on this shoot was my own, and styled by me. I adored this jumpsuit from Topshop. As you know I. LOVE. A. PRINT. So this Tropical leaf busy-ness really stood out for me. Their articles can be really arty and interesting, not forgetting inspiring. your jumpsuit is so gorgeous and the photographs are amazing.